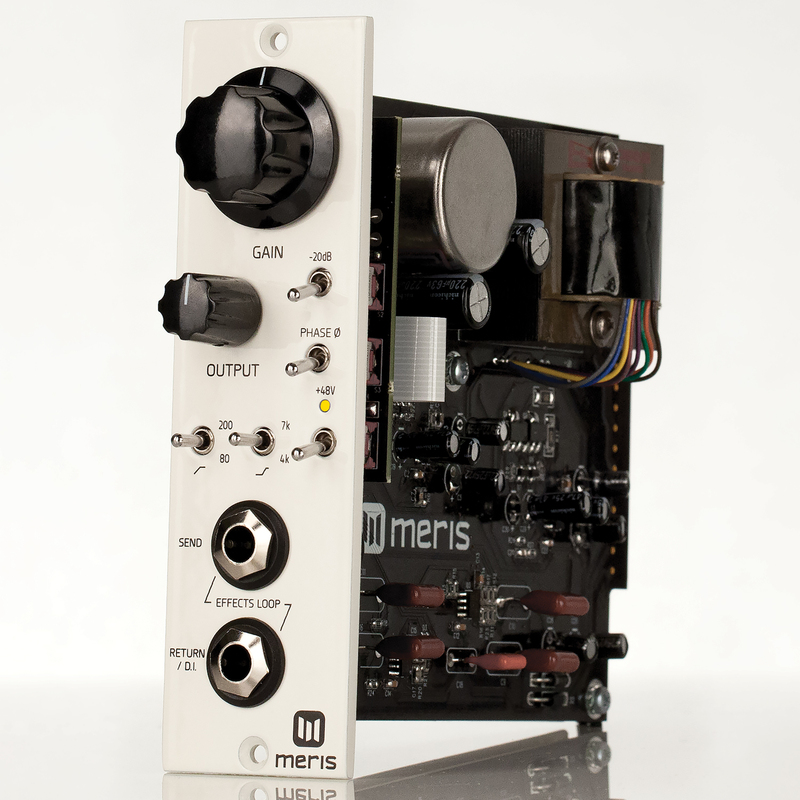 The 500 series Meris 440 mic pre is a microphone pre amplifier with the unique functionality of having send and return jacks to interface the microphone signal at the correct level with guitar effetcs pedals . Featuring Cinemag transformers the 440 has the sound of California. Made in USA.